Nestled in the heart of Palagan, Rumah Mertua Boutique Hotel & Garden Restaurant is an ideal spot from which to discover Yogyakarta, with the city center 6 km away and the Yogyakarta International Airport 12 km away. Experience high quality room facilities in this hotel's 7 rooms including complimentary bottled water, satellite/cable TV, a shower, non-smoking rooms, and free wireless and LAN internet access. The outdoor pool, spa, golf course (within 3 km), and garden ensure guests have a variety of recreational activities to choose from. Nearby attractions include the Monumen Jogjakarta - Monjali, the Mesjid Kampus UGM, and the Empire XXI Cineplex. 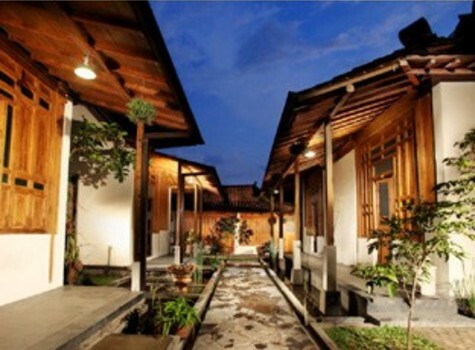 Rumah Mertua Boutique Hotel in Yogyakarta! Well-placed in the Kata Gede area of Yogyakarta, popular for sightseeing and culture 2 km from the city center and 20 minutes from the Yogyakarta International Airport, Ndalem MJ Homestay is a 3-star hotel which provides a most conducive spot for to take a break from your busy days. All 7 guestrooms feature satellite/cable TV with LCD/plasma TV, desk, balcony/terrace, and free wireless internet access. 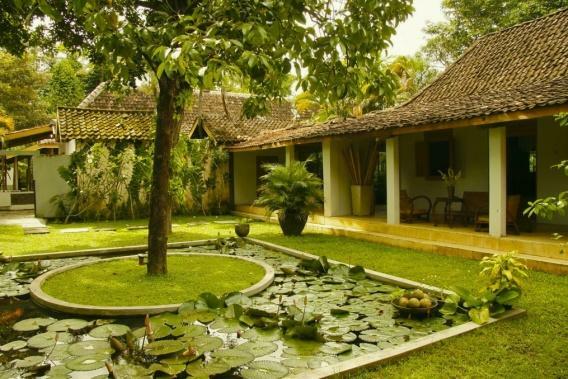 Ndalem MJ Homestay offers numerous amenities to ensure each guest's stay is a memorable one. No less exceptional is the hotel's easy access to the city's attractions and landmarks, such as Gereja Abdi Ngadinegaraan, the Museum Keraton Yogyakarta, and Taman Sari Water Castle. Ndalem MJ Homestay in Yogyakarta! Offering quality accommodations in the business and culture district of Yogyakarta, Kangen Boutique Hotel is a popular choice for both business and leisure travelers. Located in the Sinduadi area 4 km from the city center and 25 minutes from the Yogyakarta International Airport, guests are well situated to enjoy the town's attractions. All 40 rooms of this hotel's guest accommodation feature thoughtful amenities to ensure an unparalleled sense of comfort with crisp white linens, warm decor, ensuite bathroom, and balcony/terrace. 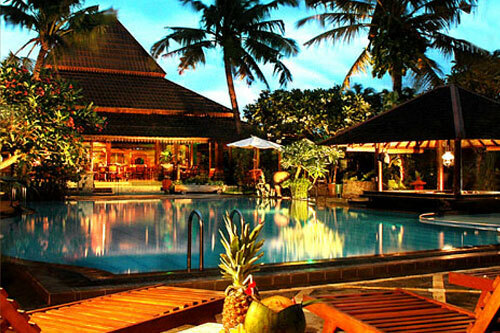 The Kangen Boutique Hotel offers a variety of amenities to ensure guests enjoy their stay. Also within easy reach are Monumen Jogjakarta - Monjali, the Mesjid Kampus UGM, and the Empire XXI Cineplex. 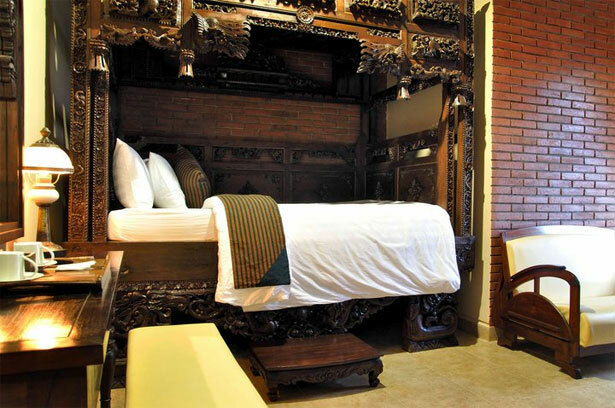 Kangen Boutique Hotel in Yogyakarta! For travelers who want to take in the sights and sounds of Yogyakarta, the Rumah Kayen Homestay located in the Palagan area, 5 km from the city center and the Yogyakarta International Airport, is the perfect choice. Step into one of 7 inviting rooms and escape the stresses of the day with a wide range of amenities such as ensuite bathroom, surrounded by traditional colonial Indonesian decor. Amenities provided include babysitting, tours, and bicycle rentals. An outdoor pool and garden provide recreational opportunities for guests. A haven of rest and relaxation, the hotel will offer total renewal just steps away from the city's numerous attractions such as Monumen Jogjakarta (Monjali), the Mesjid Kampus UGM, and Museum Affandi. Rumah Kayen Homestay in Yogyakarta! A quiet location, this small, romantic boutique hotel located in the Kota Gede area of Yogyakarta, 8.7 km from Yogyakarta International Airport, has many previous visitors saying "Wow!" Exceptional lighting, four-post beds with comfortable bedding, balcony/terrace, ensuite, and free wireless internet access are found in each of the hotel's 10 guestrooms. 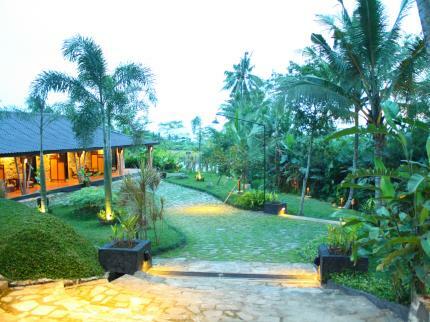 Dusun Jogja Village provides many amenities for their guests' enjoyment. The Museum Keraton Yogyakarta, Taman Sari Water Castle, The Kraton Palace, the largest Southeast Asia Hindu temple Prambanan, the world's largest Buddhist temple Borobudur, and Genthong Batik & Dagadu are all popular nearby attractions. Dusun Jogja Village Inn in Yogyakarta! Renovated in 2006, the D'Omah Boutique Hotel Yogyakarta guarentees a pleasant stay whether for business or pleasure, located in the Bantul area, 8.5 km from the city center and 13.3 km from Yogyakarta International Airport. D'Omah's 22 guestrooms provide a warm and pleasant home away from home with modern comforts including balcony/terrace, and a bathtub. 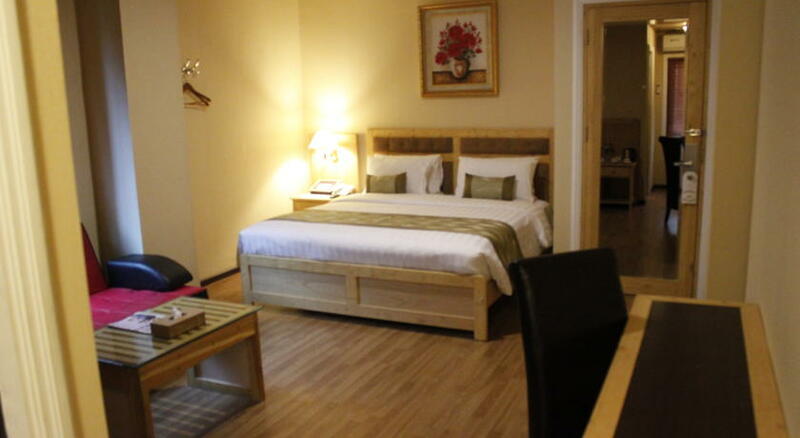 The D'Omah Boutique Hotel provides numerous amenities including a restaurant, room service, airport transfer, bicycle rentals, tours, meeting facilities, babysitting, and laundry service. Top attractions in the area include Museum Keraton Yogyakarta, Taman Sari Yogya (The Water Castle), and the Genthong Batik & Dagadu. D' Omah Boutique Hotel Yogyakarta in Yogyakarta! Nestled in the heart of Prawirotaman, Villa Pondok Terra is an ideal sport from which to discover Yogyakarta, merely 0.5 km from the city center and 30 minutes from the airport. This hotel is home to 3 guestrooms, all tastefully furnished to provide comforts such as a private pool for each room, non smoking rooms, mini bar, bathrobes, shower, and free wireless internet access. 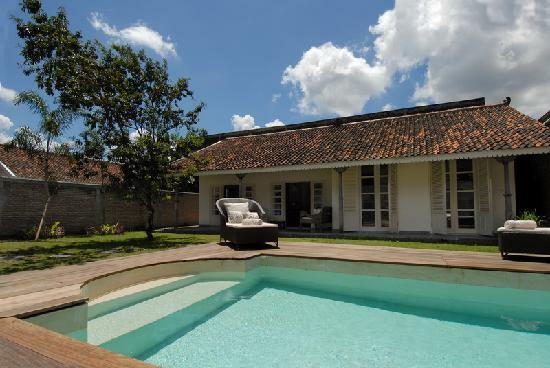 The Villa Pondok Terra features 24-hour room service, a restaurant, concierge, airport transfer, bicycle rentals, tours, and laundry service to enhance their guests' experience. 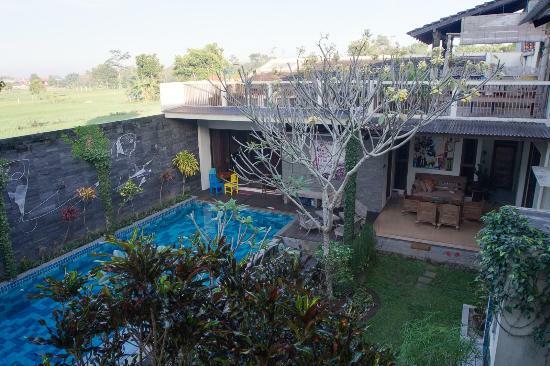 Villa Pondok Terra offers total renewal just steps away from the city's numerous attractions such as Gereja Abdi Ngadinegaraan, the Museum Keraton Yogyakarta, and the Taman Sari (Water Castle). Villa Pondok Terra in Yogyakarta! 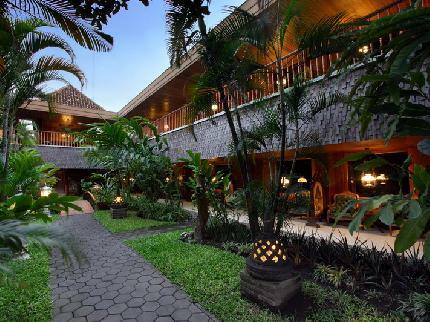 Travelers are greeted with friendly smiles and traditional Indonesian hospitality when they arrive at Puri Artha Hotel, located in the Gejayan area of Yogyakarta, 15 minutes from the Yogyakarta International Airport. The 70 guestrooms feature a fusion of Java and Balinese decor along with air conditioning, private balconies, free wireless internet access, a seating area, and a bathtub/shower. 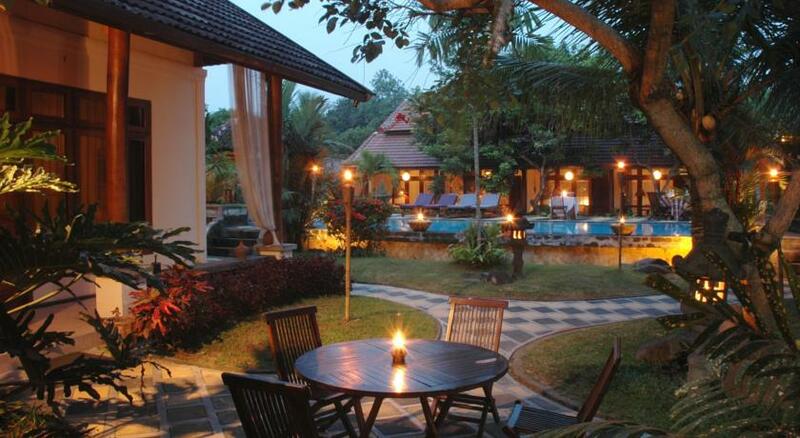 An outdoor pool, spa, massage, and garden are recreational facilities available at Puri Artha Hotel. The Museum Affandi, Plaza Ambarukmo, Galeria Mall Yogyakarta, and the Universitas Gadjah Mada are all attractions near the Puri Artha Hotel. Puri Artha Hotel in Yogyakarta! When visiting Yogyakarta, you'll feel right at home at Rumput Hotel Resort & Resto which offers quality accommodation and great service, located in the Palagen area 4 km from the Yogyakarta International Airport, 8 km from the city center. Experience high quality room facilities including air conditioning, desk, complimentary bottled water, satellite/cable TV, shower, and free wireless internet access in all 19 guestrooms at this resort. An outdoor pool, kids' pool, massage, and garden are also available for recreational activities. For sightseeing options and local attractions, one need not look far as the hotel enjoys close proximity to Plaza Ambarukmo, the Museum Affandi, and the Mesjid Kampus UGM. Rumput Hotel Resort Resto in Yogyakarta! Designed for both business and leisure travel, Sambi Resort, Spa & Resto is ideally situated in Kaliurang, Yogyakarta away from the hustle and bustle of the city center, 15 km away, while still remaining close enough for daily activities within the city. The hotel features 43 beautifully appointed guestrooms, each including air conditioning, shower, satellite/cable TV, balcony/terrace, non-smoking rooms, and wireless internet access. No less exceptional is the hotel's easy access to the city's attractions and landmarks, such as Merapi Golf Course, and Kaliurang Town. Sambi Resort, Spa & Resto is a smart choice for travelers to Yogyakarta, offering a relaxed and hassle-free stay every time. Sambi Resort Spa Resto in Yogyakarta!